Ezekiel Elliott led the NFL in rushing in 2016 and help guide the Dallas Cowboys to an NFC East title. But there are some unsettled personal issues. Once he got warmed up, Dallas Cowboys’ rookie running back Ezekiel Elliott was a hard man to stop this past season. The former Ohio State Buckeyes standout led the NFL in rushing attempts (322) and yards on the ground (1,631). He won the rushing title by more than 300 yards over fellow first-time pro Jordan Howard (1,313) of the Chicago Bears. While teammate and quarterback Dak Prescott capture NFL Offensive Player of the Year honors, there were many who felt that Elliott not only deserved that award but league MVP accolades as well. Recently, NFL Network’s Charlie Casserly stated that he was the best running back in the league (via NFL.com). All told, the Cowboys finished second in the league in rushing yards per game in 2016. 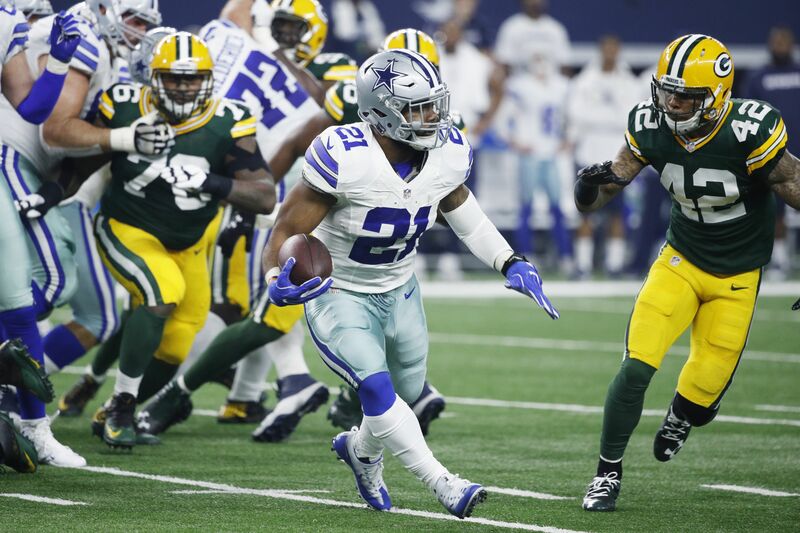 Elliott and the offensive line kept Dallas’ suspect defense on the sidelines. Now there are some personal issues that may keep Elliott off the field, at least for a spell. ESPN’s Adam Schefter has the latest news on an investigation that began more than a year ago. It’s in regards to an incident related to domestic violence, a subject the league has correctly put more of an emphasis on in recent years. We are not here to offer an opinion on the case. The fact that the league is being diligent on the matter is very important. Rather, if Elliott should be suspended for any length of time, what will Jason Garrett’s club do in terms of its running game? Veteran Darren McFadden is still with the club. He enters his 10th NFL campaign and led the club in rushing with 1,089 yards in 2015. A year ago, the team added former Washington Redskins’ workhorse Alfred Morris. There’s still a lot to sort out here when it comes to the investigation regarding Ezekiel Elliott. The Dallas Cowboys have already had their share of off-the-field issues to deal with this offseason. Losing their talented and versatile performer in the backfield for any length or time would be a blow to the team’s chances of repeating as NFC East champions. More importantly, let’s hope the right thing is done here.